Editor: This column was reviewed by Carol Smathers, Ohio State University Extension field specialist in Youth Nutrition and Wellness. We are hosting several parties over the holidays. Many of our friends are more health-conscious these days, and I would like to serve some healthy but festive beverages. Any ideas? Clean, fresh water is among the healthiest beverages out there. It’s calorie- and sugar-free and, when you get it from the tap, it’s about as inexpensive as you can get. The Harvard School of Public Health has gone so far as to state outright that “water is the best choice” for quenching your thirst and rehydrating your body, which uses water in every one of its biochemical reactions as well as for metabolism, breathing, sweating and removal of waste. Choosing water or other calorie-free or low-calorie beverages has benefits all year round. Replacing two 20-ounce sugary soft drinks a week with a calorie- and sugar-free option saves nearly 25,000 calories and more than 1,700 teaspoons of added sugar over the course of a year. So, your guests will likely thank you for serving water in some way. You could also consider providing other healthful options in addition to tap water, such as sugar-free sparkling flavored waters, nonalcoholic beers and sparkling ciders at the wet bar. Another idea: Make a simple nonalcoholic punch from a variety of juices, iced tea and club soda, and keep it cool with an ice ring made of water and pureed fruit. 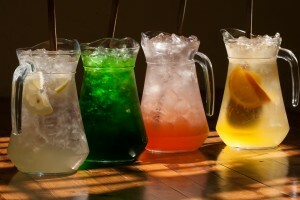 Or, you can just add some punch (not literally) to water from your kitchen tap to dress it up for a holiday party. Although some of us can think of nothing more refreshing than a glass of crisp cold water — straight up or on the rocks — some people might find it less than festive. Slice cucumbers and add them to the pitcher along with sprigs of slightly crushed fresh peppermint. The result is a cool, refreshing, thirst-quenching drink. Add raspberries, blueberries and blackberries. Allow them to be slightly crushed as you stir them in with ice. You may want to have a cocktail strainer on hand to allow guests to choose whether the berries flow into the glass or not. Either way, the water wili have a subtle sweetness. Opt for a citrus or melon theme: Slice lemons, limes and oranges or cut chunks of cantaloupe, honeydew and watermelon and let them float in the pitcher. Think ahead and freeze fruits into ice cubes that you add to the pitcher, so the water contains even more fruit as the ice melts. In addition, put some thought into the container itself. A nice clear glass pitcher is fine as a fallback, but consider other options, too, including a wine carafe or a large beverage dispenser with a spigot. And finally, no matter what you might add to water for your party guests, keep food safety in mind. Thoroughly rinse fresh fruits and vegetables under running water before adding them to the container. For citrus fruits or vegetables with a rind, like cucumbers, scrub them with a vegetable brush as you rinse. Editor: This column was reviewed by Carol Smathers, Ohio State University Extension field specialist in Youth, Nutrition and Wellness. 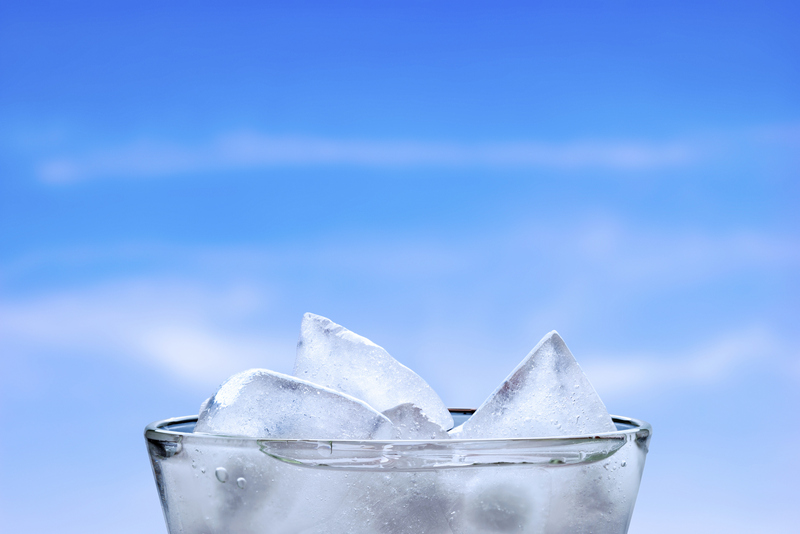 Do we really need to drink more water when the weather is hot? If you’re outdoors when it’s hot and sticky, and you become hot and sticky yourself, then, yes, that’s a good signal that you should drink more water. You might not think much about it, but water is the most abundant substance in your body. Each and every organ in your body needs water to do its job. Water serves as a medium where chemical reactions take place — and the body is a veritable 24-hours-a-day laboratory bustling with such reactions. Water also helps control body heat through perspiration and helps lubricate your knees, elbows and other joints. And it does other jobs, as well — too many to list here. As your body uses all that water, and loses it from perspiration, urination and other functions, the water needs to be replaced. While you might need to consume a few ounces of protein, carbohydrate and even some healthful fats in your daily diet, you need a lot more water: It’s recommended that men get 3.7 liters of water a day, and women, 2.7 liters. And in certain situations, such as very hot weather, your body needs more than normal. 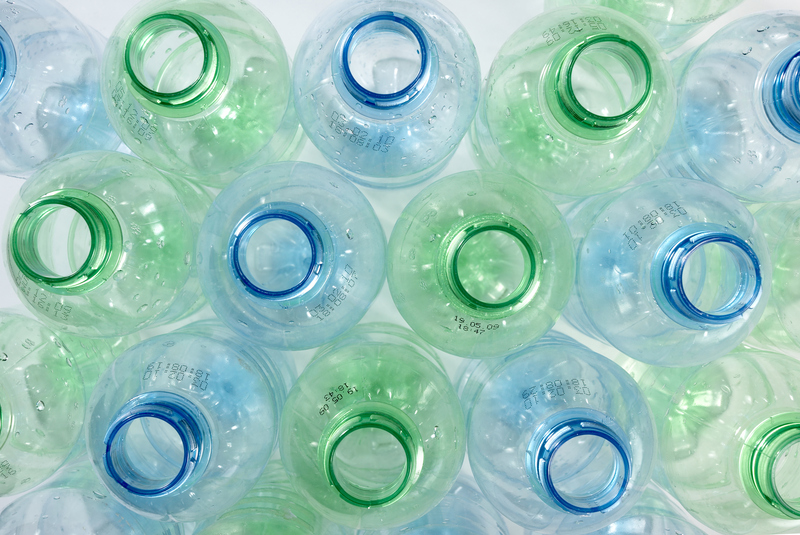 But before you start lugging around 2-liter bottles filled with H2O, it’s important to know that you do get quite a bit of water from other beverages and even from foods. With foods, fruits and vegetables generally contain the most water — watermelon is about 91 percent water by weight; raw broccoli, 89 percent. But even other foods such as beans, chicken, pasta and bread contain ample amounts of water that your body can put to use. Exposure to extreme temperatures, either hot or cold. You need water to maintain a normal body temperature. Exposure to dry air, such as heated or recirculated air. High altitudes. At about 8,200 feet, your heart rate as well as urine output could increase, both of which require you to drink more water. Pregnancy, which increases the recommendation for fluid intake for women to 3.8 liters a day. Illness that includes fever, diarrhea or vomiting. Plenty of fluids are needed to prevent dehydration. Eating a high-fiber diet. The body needs more water to process the fiber through the intestines. 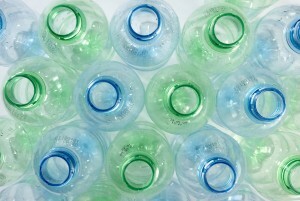 Nutritionists generally recommend water as the top choice as a beverage. Not only is it calorie-free, it’s cheap from the tap and provides everything your body needs to replenish fluids. So, tip back your glass and enjoy, knowing you’re doing your body good. I switched my beverage of choice from pop to bottled flavored water. I’m enjoying trying a lot of different brands and flavors. Is there anything I should be on the lookout for when choosing which one to try next? Water is a great alternative to sugary soft drinks. But as you reach for your next flavored bottled water, be sure to take a close look at the label to make sure you’re consuming what you think you are. Some bottled flavored water is actually just that — water with flavorings. In fact, a range of flavors of unsweetened carbonated water is now widely available. But some products labeled “water” contain a lot of sugar and calories, caffeine, artificial sweeteners or other additives that you may prefer to avoid. First, read the Nutrition Facts label. Look at the calories per serving and the number of servings per container. That will quickly let you know how many calories you’ll be consuming after you twist off the bottle top. Second, read the ingredients listings carefully. Are you satisfied with what you see? Watch out for sugar, which can be labeled as many different things, including corn syrup, dextrose, fructose, high-fructose corn syrup (HFCS), honey, malt syrup, nectars (such as peach nectar or pear nectar) and sucrose. Note that caffeine doesn’t have to be listed as an ingredient if it is naturally present in one of the other ingredients — tea, for example. But if it’s added on its own, it has to be in the ingredients listing. Many flavored waters boast they contain vitamins and antioxidants. That’s all well and good, but it can be an expensive way to consume them. Eat a wide variety of produce — five servings a day or more — and you’ll be fine on that score. It’s a similar situation to that of sports drinks — athletes who vigorously exercise for an hour or more may benefit from the carbohydrates and electrolytes that sports drinks contain, but many people who reach for those beverages simply don’t need them, or the calories they contain. If water with vitamins also contains sweeteners, then it probably isn’t a healthy option. Just be sure to thoroughly rinse any such ingredients under running water before adding them to your water. Anything with a tough outside skin or rind should be scrubbed with a vegetable brush under running water before being cut into, to make sure any contaminants on the exterior aren’t transferred to your fresh glass of cool water. Editor: This column was reviewed by Carol Smathers, Ohio State University Extension’s field specialist in Youth Nutrition and Wellness. None of my kids drink a lot of water. Should I encourage them to drink more? Yes, fill up that water glass and encourage kids to drink up. Just like it does with vitamins, minerals and other nutrients, the Institute of Medicine offers recommendations for daily adequate intake of water. Research suggests that most children and adolescents aren’t getting enough. For school-age children, expert panels generally recommend daily water intake of about 4 cups for children 4-8 years old, 7-8 cups for youth ages 9-13, and 8-11 cups for those 14-18 years old. It’s recommended that children consume this quantity of water daily in liquid form (water, unflavored lowfat milk, and 100 percent fruit juices). For teens, that translates into drinking enough water to fill a 2-liter bottle. It should be noted that in addition to the daily recommended amounts of water from beverages, there are additional recommendations for water that’s contained in food (particularly fruits and vegetables). But, even considering all water sources, the average intake for children and adolescents falls short. Young people who drink more water gain a boatload of benefits. First, higher water consumption can help in the battle against childhood obesity. One study found that plain drinking water accounted for only 33 percent of total water intake among adolescents, with the remaining intake consisting primarily of beverages that contained excess calories. Choosing plain water more often — “water first for thirst” — would likely decrease the amount of sugary beverages children drink. And that can be significant: A 2001 study in The Lancetfound that for every 12-ounce sugary soda a child consumed each day, the odds that he or she would become obese over the next 18 months increased by 60 percent. 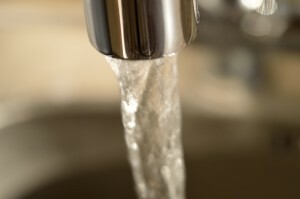 In addition, drinking tap water is cheap and usually provides fluoride to reduce cavities. Also, if the water comes from a mineral-rich source — normally groundwater rather than spring water — it can be a small but significant source of some minerals. Offering water first when your children say they are thirsty. Modeling the behavior — drink more water yourself. Checking your children’s school policies on allowing children to visit the water fountain often or bring bottled water into the classroom. Dressing it up — add slices of lemon, lime or cucumber to water to add interest and variety. I heard about a study that showed drinking more water can help people lose weight. But I thought that was a myth that had been debunked a long time ago. Can you clarify? You probably heard something about a recent review of previous studies on this topic, published ahead of print online in late June in the American Journal of Clinical Nutrition. Researchers searched through nearly 5,000 records of research in online databases for studies that reported on an association between daily water consumption and any weight-related outcome. They found just 11 original studies and two other systematic reviews. Of the 11 original studies, only three specifically focused on people trying to lose weight or maintain weight loss. and weight loss. Other studies reported on water consumption and current body weight status, and results were inconsistent. In fact, some showed obese people tended to drink more water. Still, nutritionists and other professionals specializing in weight loss often recommend that their clients drink more water, which some believe can help reduce hunger pangs and increase a feeling of fullness with absolutely no calories. In comparison, juices and sweetened beverages often have 160 calories per serving. 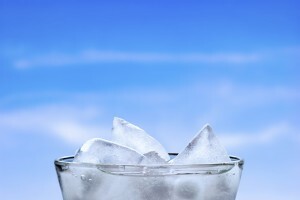 There’s also speculation that drinking enough water helps the body’s metabolism and increases energy expenditure, but solid research on that is hard to find. The functioning of every cell and organ in the body. Prevention and relief of constipation by helping food move through the intestines. Lubrication and cushioning of joints. The Institute of Medicine recommends that women consume 91 ounces (about 11.5 cups) and men consume 125 ounces (about 15.5 cups) of water a day, but that includes water from other beverages and from food. 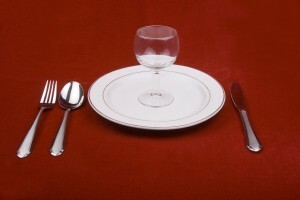 The institute says on average, people get about 20 percent of their water intake from food.